I’m not quite clear on the rules of this month’s challenge. 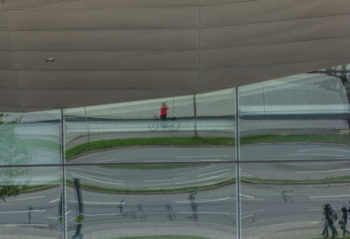 Does the photograph need to be a selfie, or is it sufficient to have a photo that includes me and my bicycle? I’ll start early on this one, so I’ve still got time for another try if it’s needed. The photo of me, the … Continue reading "A challenging April"
It’s the last day of March, so I can just fit in one last submission. Today’s ride took us to Zingaro Nature Preseve on the northwest tip of Sicily. The first designated nature preserve on the island, it seemed like a natural for a final flora/fauna post. 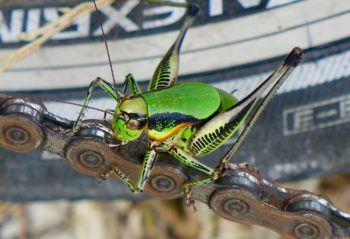 The preserve is a roadless area, so we didn’t … Continue reading "One last set of flora and fauna"
We don’t have daylight savings time yet which means I would have had to get up at a very ungodly hour to catch the sun rising for the equinox challenge. Fortunately the setting sun qualifies, too. The sky was clear again today, yesterday I didn’t have time, and I was able to get out for … Continue reading "Equinox Challenge Munich"
Well, I screwed up my courage and made a video for you – but mainly for the Goddess, bestower of Eternal Glory, because she likes videos and has been asking to see and hear us live for years. Not much to add to that. 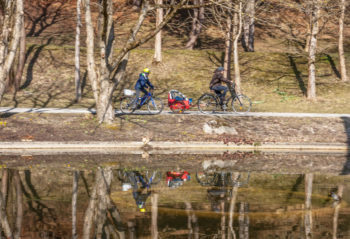 I rode to the gym, got rid of glass and plastic … Continue reading "Cycle Life Challenge Ride 1: Everyday Life in Munich"
No, it is definitely not spring yet although it was a few degrees warmer today than yesterday. I somehow expected some spring-like vegetation in the Botanical Garden and since it was a bit warmer and there was no snow on the bike paths, Janos and I cycled there. 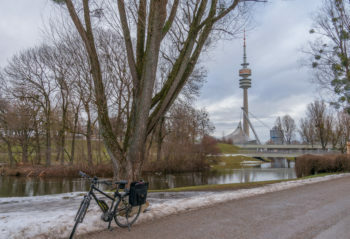 This winter cycling is something new; last … Continue reading "Spring in January? – Monthly Challenge Clouds"
It snowed last night and into this morning when I got up. 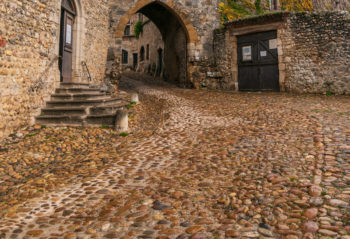 I wanted to go out and get a picture of my bike tires making tracks in the snow, like Greg, but by the time I ate breakfast, drank a second cup of coffee, read the paper and got dressed, the roads had melted … Continue reading "Winter comes to Burgundy." Today was even warmer than yesterday, 5°C which I guess you can call mild for this time of year. So my bicycle was my preferred mode of transportation for my errands of the day. In the morning I rode to my Tai Chi class (first time) and in the afternoon I prolonged my shopping ride … Continue reading "Clouded Over – Monthly Challenge"
I’m posting this a couple of days after the fact because I’ve been super busy, and also when the sun shines in Burgundy, indoors is not the place to be. Tuesday morning, the skies were clear. 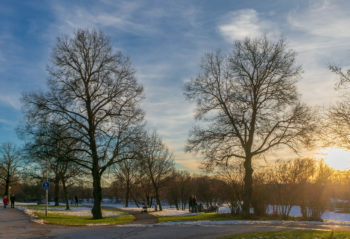 Instead of the grey rainy weather we’re used to in January, the sun made an appearance this morning and … Continue reading "A sunny day at last!" 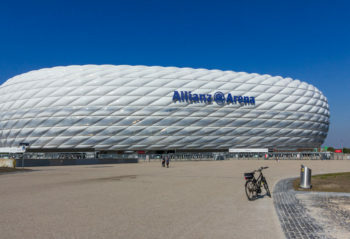 Well, we’ve been back in Munich for a week now. At first we saw lots of snow, no clouds since the sky was one big grey cloud. Then two days ago it was above freezing and rained, melting and washing away most of the snow. Yay! 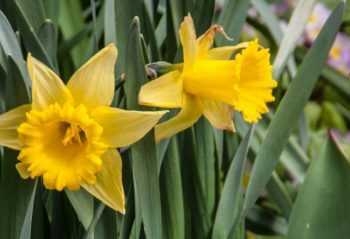 It hasn’t frozen over since and there was no … Continue reading "Wispy Clouds – Monthly Challenge"
It was a year ago today that my father in law of more than 40 years passed away. In Doug’s memory, Neale our youngest son and I would ride in kilometres the number of years he was on this planet, 86. We would ride to places we knew he would of loved to have seen … Continue reading "memorial ride"
Hi Everybody! I feel like kind of a stalker here, reading and enjoying your posts but not commenting or posting. But now that we are settled in and I have my laptop out, I’ll be able to be a bit more active. 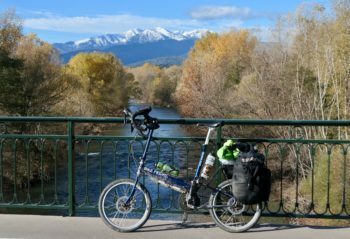 As many of you know, I am no longer in Munich but on … Continue reading "Hello from Conil de la Frontera"
Today we crossed over into Spain, crossing the Pyrenees over the low Col de Panissars, the ancient route the Romans took through the mountains. To call the day adventurous would be an understatement. With a treacherous descent and a barefoot walk in the water, it was a ride not quite like any we’ve experienced, a … Continue reading "December’s challenge: crossing the Tech"
I know that Coffeeneuring season is over, and I’ve already completed my seven caffeine-free entries. Wine is fine any old time though, and today’s ride was interesting enough to share. 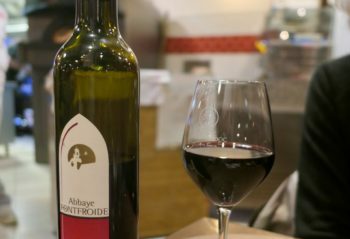 The wine comes from Fontfroide Abbey, a beautiful place we visited last fall. 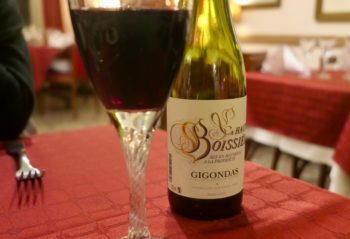 I was delighted to see a wine from there on the card … Continue reading "Vinouring outside the box: Fontfroide Abbey"
Made it, and in just under the wire. I was starting to get anxious, but I’VE DONE IT AGAIN! 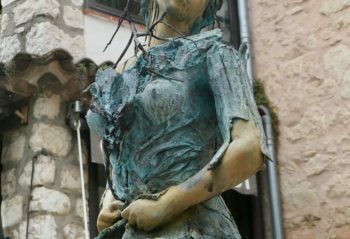 My streak of successfully completed ‘Coffeeneuring’ seasons continues unbroken, now at – er, I forget for sure, and my first season was recorded and then purged from a former website I chose not to name at this … Continue reading "Vinouring 2019: Languedoc in Agde"
I’m not sure what the story is on these colorful statues in Montpellier. 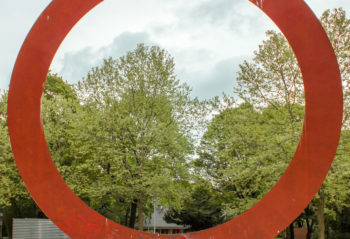 Is it a single work of art, or a series of ancient works vandalized by spray painters? Whatever we’re seeing here, I’m sure you’ll agree that it’s much improved by the addition of a stylishly placed bicycle. There was more to this … Continue reading "November art challenge: some headless torsi"
Its been a few weeks since I last posted something, so thought it was high I did so again. The plan was for Neale, our youngest son and myself to ride out into the moderate N Easterly breeze to a village in the North Oxfordshire countryside that neither of us had ever been to before, … Continue reading "A Return to Posting"
I lost focus on this year’s challenge for a bit, and was a bit anxious looking up the dates to see if I’d run out of time. I’m good though – there’s still a week left. After today’s post, my sixth of the season, I’m only one shy. 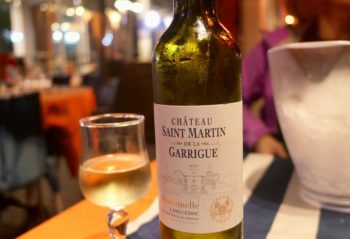 The pressure is on, but I’m pretty … Continue reading "Vinouring 2018: Gigandas in Saint Remy"
Bike and hike is my idea now. I prefer walking when it gets cold. So Janos and I cycled to the Olympic Park – we could have walked there but it’s such a boring walk – parked our bikes and climbed the smaller of the two Olympic hills. 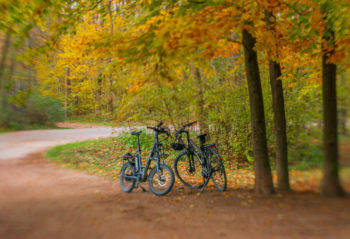 Bike and hike is perhaps a slight … Continue reading "One More Before We Go"
Good weather, that’s the Good, and it seems to want to go on forever. Of course it won’t, but although it is getting cooler, it doesn’t feel like summer ever stopped and I just wonder why the shadows are so long and it is getting dark so early in the day. 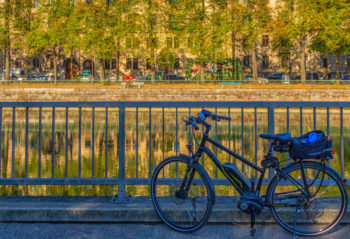 I love that riding … Continue reading "The Good, the Bad and the Beautiful – Monthly Challenge Outdoor Art"
November 11, the day of the Armistice Treaty of Compiègne, marks the centenary of the end of the First World War. For this occasion, the Munich action artist Walter Kuhn has transformed the Königsplatz into a sea of ​​several thousand large red poppies made of artificial silk, thus commemorating the millions of soldiers and civilian … Continue reading "Public Art Challenge: A Memorial to Peace"
I haven’t been going out of the way to rise to this month’s challenge. We’re on the road enough that I’ve been assuming that if I just kept my eyes open, art would come our way eventually. Today was the day. Two nice sculptures showed up on our loop through the Loup Gorge in southern … Continue reading "November challenge: Provençal public art"
That was it for October, and as I had hoped, a month of beautiful colors and many sunny days. Most of my rides were not long, just around town, but it felt good to be in the saddle so often this time of year. 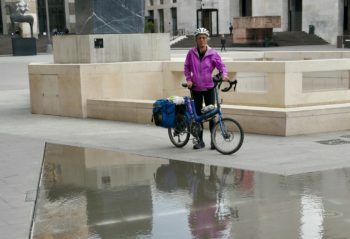 No more trips planned for this year, bicycle trips that is. 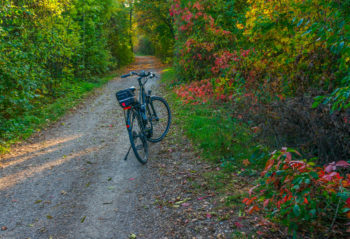 … Continue reading "100 Cycle Days Challenege – October"
Monday morning I woke up with a tremendous pain in my right foot. I could barely hobble my way down stairs for breakfast, so I scheduled an appointment with the doc as soon as the office opened. 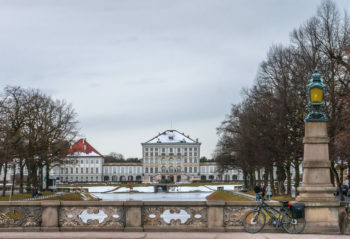 Doctor Paurelle determined that I was indeed in much pain (oh he can be cruel with his probings) … Continue reading "Tea art ride"
A ride to Schleißheim Palace with some public art on the way — November 1, 2018 — It was looking grey again but after lunch we decided to get our show on the road, no more hanging around and sitting at the computer. 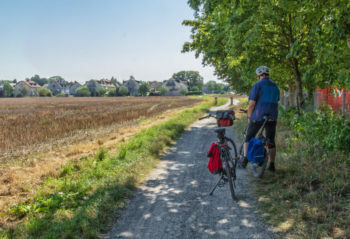 Schleissheim is one of our regular cycling destinations, about 30 km round … Continue reading "Kaffeenierung in Munich – Ride 7"
I like this. 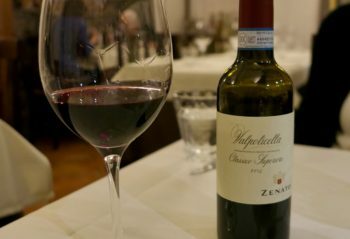 I like Saluzzo, I like Dolcetto, and I like the musical sound of the two of them together. 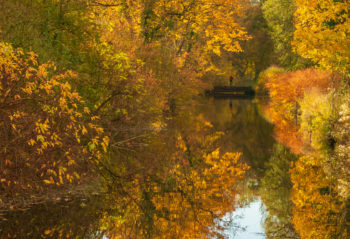 And, I liked a lot of today’s ride, on what I suspect will be the last warm sunny day of autumn over here this year. 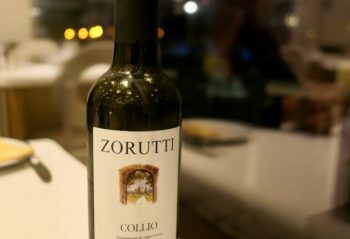 After an amazing string of gorgeous late fall days, … Continue reading "Vinouring 2018: Dolcetto in Saluzzo"
A ride along the Isar Monday October 22, 2018 — As the season advances, we feel we want to catch every ray of sun. It was sunny alright, but cold as well, 5°C when we left and 10°C when we returned. 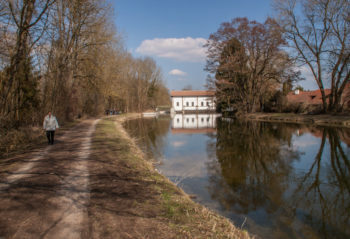 I dressed warmly but my fingers and toes felt the nip of the cold … Continue reading "Kaffeenierung in Bavaria – Ride 6"
It’s not all that easy, finding restaurants that serve half bottles. I’ve had my eyes out all week, and finally scored again last night. Nice that they had a variety I like too, but the main thing was diversity. I’m starting to wonder how hard it’s going to be to meet my goal and find … Continue reading "Vinouring 2018: Pinot Grigio in OSG"
Who Needs Flowers – Today’s ride was again to the Botanical Garden. My annual pass has certainly been worthwhile. We have a light morning fog, and it’s a little cooler than in the past days. I am wearing gloves and a buff under my helmet to keep my ears warm. 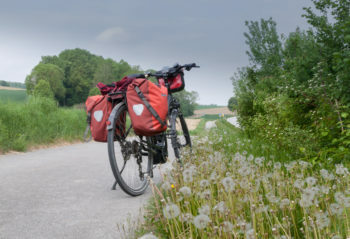 We take our usual route … Continue reading "Kaffeenierung in Bavaria – Ride 4"
Today’s destination wasn’t a pretty park, a palace or an interesting cafe – it was to the junkyard. More precisely, I rode to the nearest hazardous waste disposal and recycling center. I didn’t have a lot to get rid of, it was very easy to transport on my bicycle. 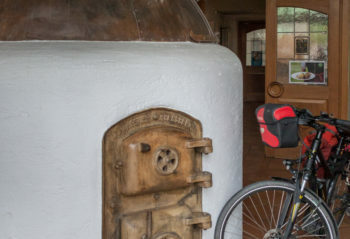 You can read more here on … Continue reading "Kaffeenierung in Bavaria – Ride 3"
Being on tour, I’m a bit constrained in how to approach Coffeeneuring this fall. In the past I’ve taken solo day rides to beverage outlets about town, but that doesn’t really work that well when we’re on tour. 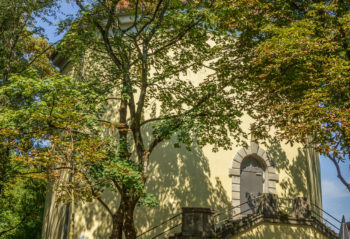 I don’t really want to take off on my own that often, as it cramps how we … Continue reading "Vinouring 2018: Valpolicella in Varenna"
A warm October day, wow, I’ve never seen October weather like this. 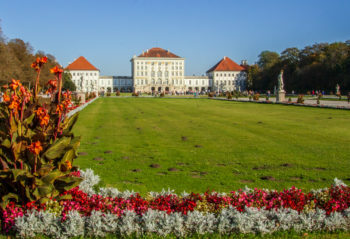 I hopped on my bike for a short ride, my goal today was Nymphenburg Palace. On a lovely Saturday there were plenty of people there. Janos didn’t want to get trampled and stayed home. But it wasn’t that bad. 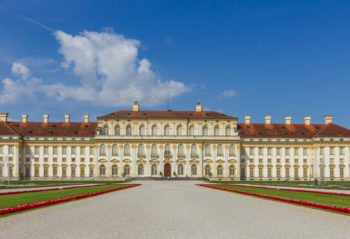 Behind the palace is … Continue reading "Kaffeenierung in Bavaria – Ride 2"
The Navigator will likely be amused to hear that I thought the Italian city of Brescia was the source of the name for a type of conglomerate. I even took a photo of a block of rock in one of the city squares, thinking it was an example of the rock, until I researched … Continue reading "Reflecting on Brescia"
No theme this time around, just seven rides (I hope). A gorgeous warm sunny day for the first day of the challenge. We rode our bikes to the Deer Park Beer Garden and ate our picnic there, accompanied by a Radlermass (shandy). 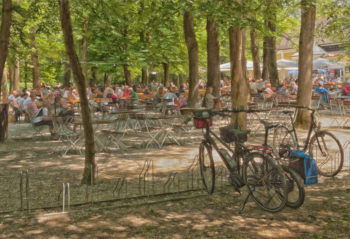 It was certainly beer garden weather, but the season is over it seems … Continue reading "Kaffeenierung in Bavaria – Ride 1"
It had to be a good challenge to get me out on my bike today – grey in grey. But as is usually the case, once I was out I had a good time. 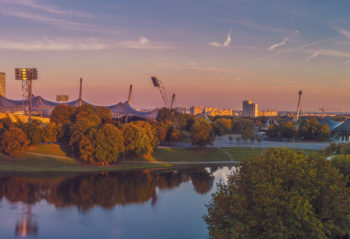 My first destination was the Olympic Park where I expected the panels of Olympic swimming pool building must make for some … Continue reading "Reflecties from Munich"
That was it for September. The month just flew by. I got 18 rides in, the second most rides after May where I rode on 21 days. September was again a month with so much good weather, it wasn’t hard to get out and ride. 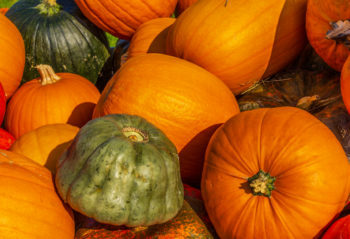 I wonder what October will bring. 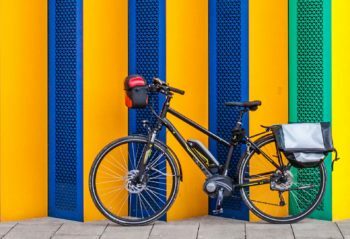 We are kind of … Continue reading "Cycle Days Challenge – September"
I’ve been holding off on this post, thinking I’d find just the right sign to park a bike next to before the month is over. I’m sure m just not observant enough, but it didn’t happen. 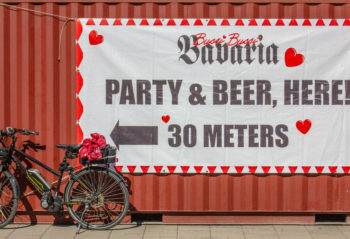 So, here’s the next best thing: a sign with a biker (featured), and a sign by bikers (the notorious … Continue reading "Signing out for September"
The Oktoberfest is in full swing even though it’s not even October. It always starts in September. 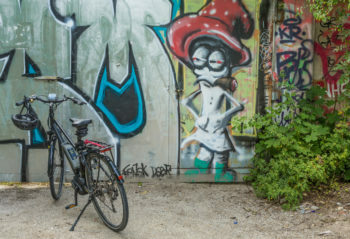 I cycled around the area a bit to see what there was to see – and take pictures of. Well, there were tons of people pouring in from all directions, the fair grounds were packed at 10:30 a.m. … Continue reading "Signs on a Sunny Day – September Challenge"
September 17 – I decided to do a dress rehearsal and was out looking for the street that ran due east and a place where I could get a good shot. 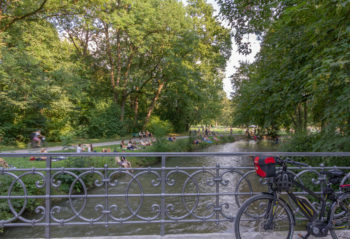 However, anytime betweem 7 a.m. and 8 a.m. is not good to be cycing leisurely, looking for the angle of the shadows and where … Continue reading "Autumnal Equinox 2018 – Munich"
My handlebar bag just couldn’t handle all the stuff I was putting in it. Or maybe I couldn’t handle it. What with the big-ish camera, nothing else was easily accessible. 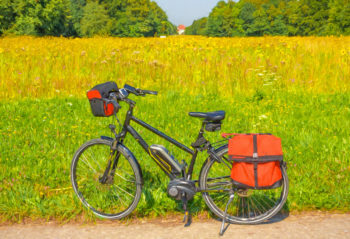 I was always scrounging around for the keys, kleenex, wallet, reading glasses, didn’t have room for my sunglasses and gloves when I got off the … Continue reading "New Gear – Ride Number 99"
Signs of fall during the harvest. Hi everyone. Its been a while since I posted here, but not because I haven’t been reading all the great things others have put up, but because I’ve been busy, and yes, lazy, too if that makes any sense. 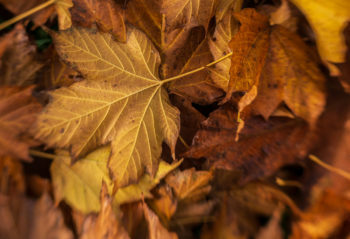 This month’s challenge struck me as something I should do, so here are a couple of … Continue reading "Signs of fall during the harvest." A cold day after many hot ones, 10C, but good. We’re on our way way to Salzburg and beyond. Just phone pics for the time being. No real blog until we’re home. I was all set for our ride 15 km to the west of Munich, to our second-to-last hochbunker. Before leaving, I cast one more look at the website description of the structure to make sure I would find it – then I noticed the small print. 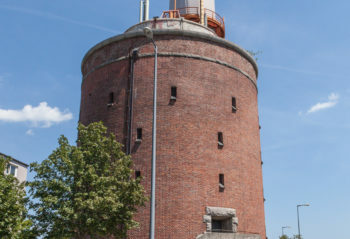 It was demolished in 2013. Glad I saw that. 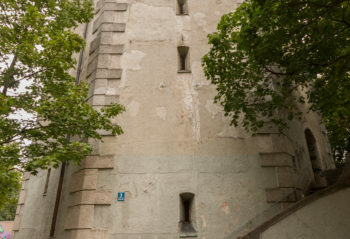 … Continue reading "To the Last Hochbunker – Ride 83"
In Catholic Bavaria, August 15, the Assumption of the Virgin Mary, is a public holiday. 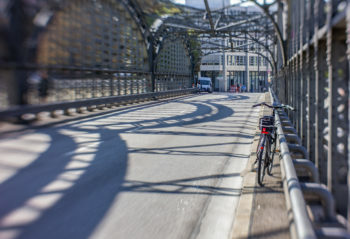 It was a beautiful day with temperatures in the low 20’s C, and it being a holiday, meaning little traffic, it was perfect for our ride through the city to seak some more hochbunkers I had on my list. 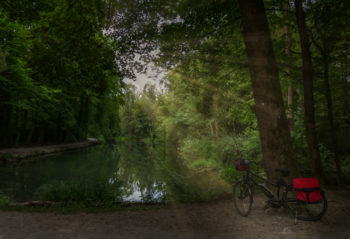 Before … Continue reading "Ride 80 – Through Munich and to Two More Hochbunkers"
Well, not just a walk in the park, we did ride our bikes to get there, but the park was certainly the highlight. I haven’t been posting all my Cycle Days Challenge photos, I thought I would just wait until the end of the month and link to my website. But (Rich!) 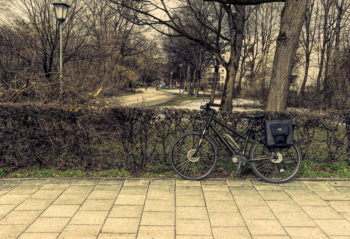 I wanted to … Continue reading "A Walk in the Park – Cycle Days Ride 79"
Today Janos and I got out early, it was cool and there was even a bit of cloud cover when we left. After a coffee (for Janos) and a glass of orange juice (for me) in Cafe Münchner Freiheit, we circled through the English Garden and drank in the cool air. A great way to … Continue reading "A little lake for the liquid challenge"
The hot days continue, the drought is hard on the farmers and the city populaton is moaning and groaning. We seldom have so many 30°+ days in a row. In our latitude people are usually more concerned about how to keep warm, not cool. So here we are, sitting in our hot little apartment. Yesterday … Continue reading "Liquid in the form of water water everywhere"
This July was one of the five hottest since temperatures have been recorded here. It’s still hot, the thermometer showing 32°C, and going strong into August. For us anything around 30°C is very hot. So I have stayed home the last few days instead of pedaling. Am I being sensible or just lazy? 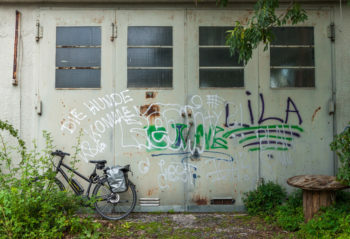 So far … Continue reading "Thinking of Vincent – Cycle Days Challenge"
Die Hunde Kommen – that’s what I found when I went out on my bike today. I didn’t feel like anything ambitious, I hardly managed to get myself out of the house. But I finally did, without a destination in mind. I ended up cirlcing around the Olympic Park and looking for nooks and crannies … Continue reading "July Challenge – Looking for Old Stuff"
Hi all. Well sir, I found an abandoned car that hadn’t been taken away by the scavengers. It’s where I found it that is the interesting part of the story, though, so maybe I’d better get back to the beginning. As some of you know, I am on a personal multi-year quest to visit every … Continue reading "Alpine abandon"
Getting ready for the big techno rave bash tomorrow! It’s my 78th birthday and you’re all invited!!! Janos and I continue our quest for old and abandoned. 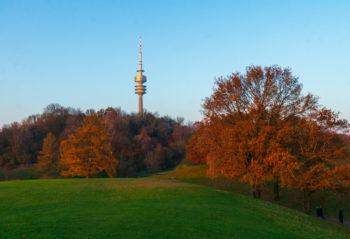 A little research in the Internet, and I discovered there are a few lost places in and around Munich. I also discovered that they are technically no longer lost places. They are abandoned, but not neglected. 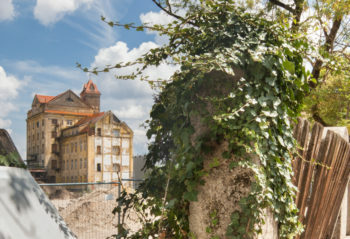 They are fenced in, and if you do find … Continue reading "Urbexing in Aubing and Allach"
We were looking for negelcted, run-down and forgotten buildings, so-called lost places. 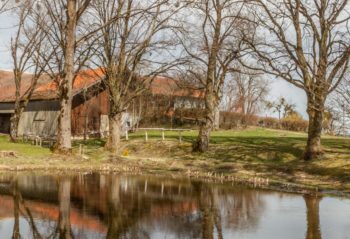 I remember at the onset of a trip to Innsbrück eleven years ago we came across an old round house on the Isartalbahn bike path, a disused railway line on the southern edge of Munich. 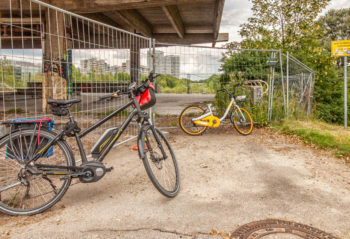 We cycled there today and found the former … Continue reading "The New Old Isartalbahn Round House"
About a year ago in Munich there was an invasion of about 7,000 yellow rental bikes from Singapore, the o-bikes, stationless bikes with a bluetooth lock system. They appeared overnight and for some reason, not justified I’d say, they aroused an enormous amount of hostility. Soon you could see them hanging from trees, in the … Continue reading "Oh, o-bike no more"
Hi folks. Me and my big mouth. I voted for the theme of this months challenge, and I thought it would be really cool. Still do, as a matter of fact, but that was without taking into consideration the high price of scrap metal and the efficiency of the ferraileurs or scrap dealers in the department. … Continue reading "Abandoned"
I have over-achieved! I chalked up 14 days in June that can count toward my 100-Bicycles-Challenge, that makes a total of 59 days for the year so far. For the first half of the year, I have more than 50 days! But the conditions were favorable. 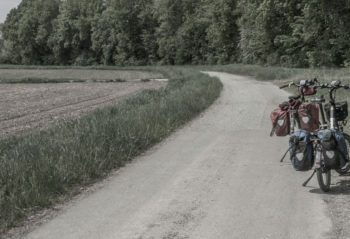 Considering we were on a multiple-day tour and had … Continue reading "Bicycle Days Challenge with Victoria – All of June"
Hi folks. 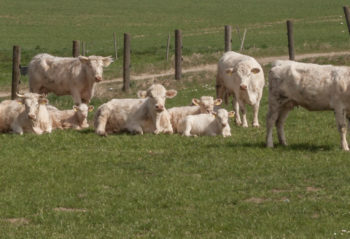 I’ve been absent for a while doing some touring in the southwest near Bordeaux. Yes, I know that’s not necessarily YOUR southwest, but it’s mine, so that’s what I’m gonna call it. 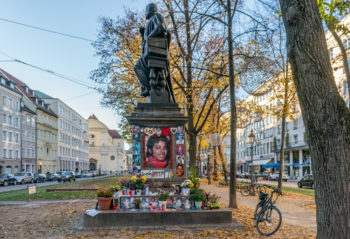 Anyway, you can find that on another website (Cycleblaze) along with the exploits of Scooter and Rocky and many of you … Continue reading "Royal-Tree"
On June 21 my husband, Janos, and I were on tour, traveling the Romantic Road. Bad Mergentheim was on our route and was memorable in many ways. For one it was a very windy day. But then we had many windy days. I will remember the Summer Solstice in Bad Mergentheim for other reasons. My … Continue reading "Summer Solstice in Southern Germany"
Trees are nice enough, but I seem to still be stuck back in May. Here’s one really final entry for the May bridge challenge: the Ottoman Bridge that provided access to the adjacent thermal springs in the Middle Ages. 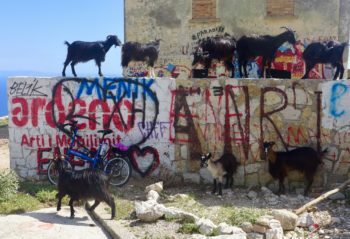 For a refreshing change, I took the extra effort to include my bike in the photo, … Continue reading "May and a half: the Ottoman bridge at Benje thermal springs"
Here’s the entry for the epic goat drive on Logara Pass that I promised in the earlier post. 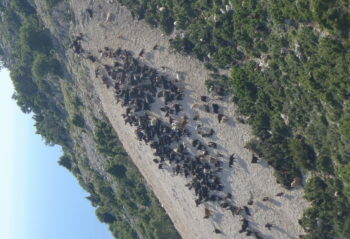 Totally amazing, worth coming to Albania for this alone. 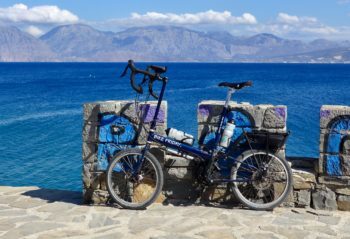 Today’s ride from Himara to Saranda is the reverse of the ride we took two days ago. 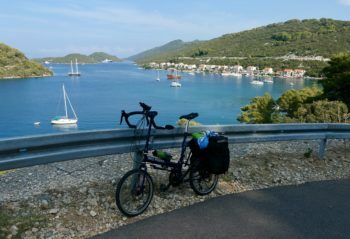 It’s dramatic and beautiful route along the Albanian Riviera, but we enjoy it much more than the first time, when it was an unbearably hot and humid 95. Today it’s milder, much more bearable. 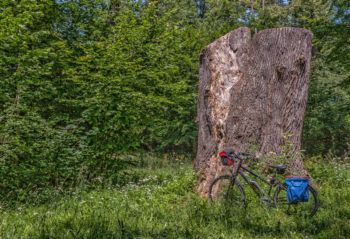 The route impresses for the … Continue reading "Cycle Days Challenge, #43"
June 10, 2018 We were up early on this sunny Sunday and after a breakfast in Cafe Münchner Freiheit, we rode through the English Garden with an eye out for photogenic trees. The English Garden has an old and venerable tree population, no dearth of subjects here. The trees don’t block the view, they are … Continue reading "June Challenge – More Trees"
I’ve given up for the moment on posting photos for each daily ride. 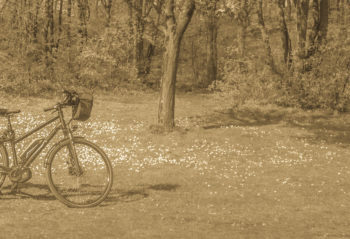 We’re riding nearly every day, and blogging it on CycleBlaze. I can’t keep up. i can still count though, and I’m still on track to meet my personal goal of 150 riding days this year. 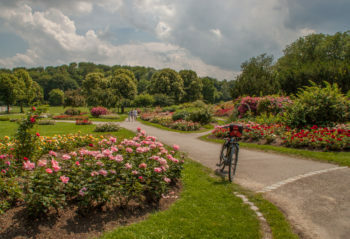 From time to time I’ll post an … Continue reading "Cycle Days Challenge, day 42"
Munich Westpark June 6, 2018 What a treat the Rosengarten in Munich’s Westpark is this year. It seems everything is in full bloom at the same time. The perfumes of the different varieties of roses compete with each other, and if you walk a few meters away towards the linden trees, you are overwhelmed by … Continue reading "Cycle Days with Victoria – In a Rose Garden"
My first tree of the month: I saw this photogenic tree motif on our ride through Munich’s English Garden. We are taking advantage of the beautiful weather by cycling to a beer garden for our picnic lunch as often as possible. 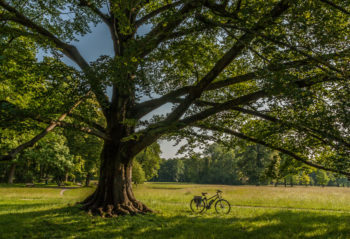 Our ride to the Aumeister Biergarten at the northern end of the park is … Continue reading "June Challenge: It was a tree"
So close! If we take the 10 hour time difference into account, this post nearly qualifies for the May Bridge challenge; but we’re off by about an hour. Still, I’ve got a few bridges to sell you if you’re interested. 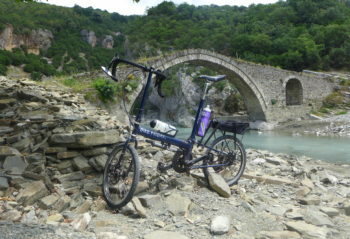 Six old stone bridges from the Zagori region of northwest Greece, all within about three … Continue reading "May and a day: the bridges of Zagori"
Now that May is completed, I have a nice set of 21 Bicycle Days here on my website. My goal is 100 for the year. My total for the year so far is 45. Looks like I could make it. 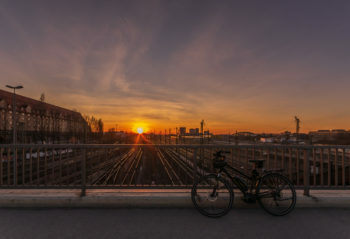 My most recent bicycle ride was yesterday, May 31, a beautiful and very warm day, … Continue reading "Cycle Days Challenge with Victoria"
The calendar can be so cruel. 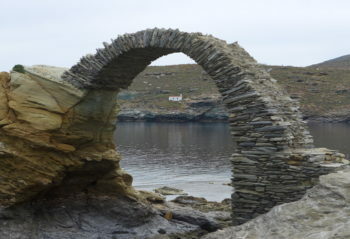 Tomorrow we expect to see the three arched Plakidas Bridge, the bridge I most look forward to seeing on our tour of Greece. Tomorrow is June 1st – just too late. I do have one final offering for the May challenge though: this abandoned steel bridge over the Arachthos … Continue reading "May bridge challenge: in under the wire"
So I like this challenge, but I’m getting behind. To speed things up a bit I’m going to batch my entries. This post is for days 13-17, and came from five consecutive days: May 11-15. The featured image is on the harbor in Agios Nikolaos, Crete. The remaining four: Continue here to see the complete … Continue reading "Cycle Days Challenge: May (entries 13 – 17)"
So let’s see if we’ve got everything right this time. Distinctive bridge, check. Month of May, check. Bicycle on the scene, check. All systems go. 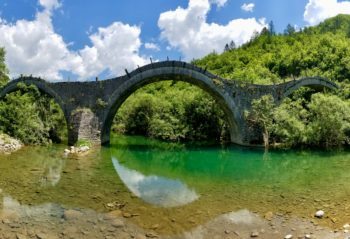 Built in 1956, the Old Eviprou Bridge in Chalkida (Chalcis) isn’t all that old, but it’s older than the new bridge, and is built as the newest of a succession … Continue reading "The Old Eviprou Bridge"
It’s been challenging seeking out bridges in Greece worthy of the challenge. 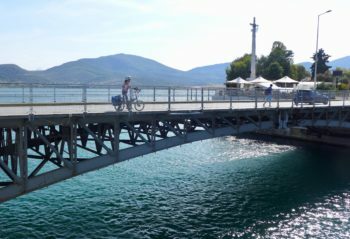 We’ve been in the islands, and there just haven’t been many bridges around. I’ve been quite stressed about this, as I’m sure you can imagine. We finally found a second bridge yesterday though, and it was definitely a challenge. Challenging enough that we … Continue reading "The challenging bridge at Andros"
We’ve been having a wet and chilly week here in Munich. Not a single day without rainshowers predicted either in the morning, the afternoon or both. But this morning was sunny, rain not expected until afternoon. Had to take advantage of that. 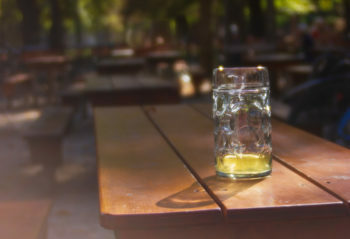 Our favorite short ride is to a beer garden for a picnic lunch. 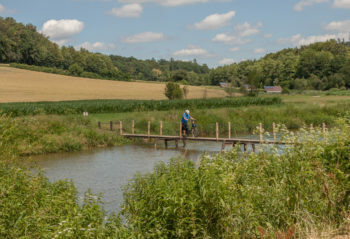 … Continue reading "A Picnic and a Bridge"
What do you do with the bridge pictures that you took in April when the challenge is for May? You post them anyway. I also have some bridge photos in petto for the challenge, but first the non-challenge bridges. 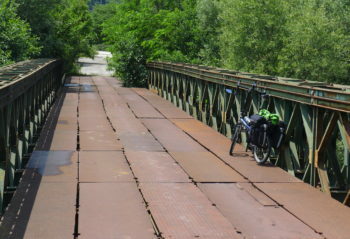 We were on the Danube Bike Path the last two days of April and of course … Continue reading "Gratuitous Bridges"
Day 11 May 6,2018 Took this the day we got back from our 9-day ride in Lower Bavaria, and didn’t feel like riding far. 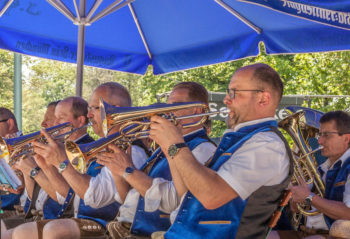 An annual Munich Street Festival was taking place and we had a look around. For the shot I placed my bike next to the news stands. 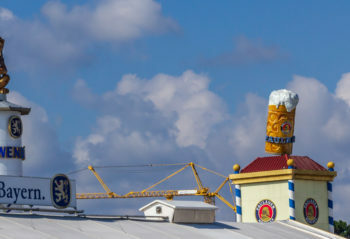 Abi Ofarim’s death at the … Continue reading "Cycling Days With Victoria – Days 11, 12,13"
May 5, 2018 Day 10/100 My bicycle posing next to a beer vat, a relic from the days when our hotel had its own brewery. My goal is 100 rides with pictures of my bike, named Victoria, or someone else’s bike for that matter, before the end of the year. 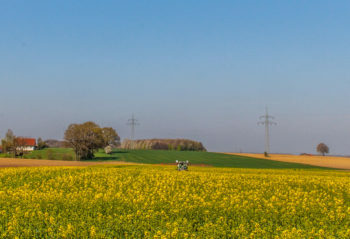 Just one picture from any … Continue reading "Cycling Days with Victoria – 10"
May 4, 2018 Day 9/100 Near the end of the tour in Lower Bavaria, the dandelions are going to seed and the canola fields are turning green. My goal is 100 rides with pictures of my bike, named Victoria, or someone else’s bike for that matter, before the end of the year. Just one picture … Continue reading "Cycling Days with Victoria – 9"
May 3, 2018 Day 8/100 At a crossroads: To a monastery or a beer garden? My goal is 100 rides with pictures of my bike, named Victoria, or someone else’s bike for that matter, before the end of the year. Just one picture from any given ride/day is the only rule for the challenge. My … Continue reading "Cycling Days with Victoria – 8"
May 2, 2018 Day 7/100 Team Kertesz-Gibson on the road My goal is 100 rides with pictures of my bike, named Victoria, or someone else’s bike for that matter, before the end of the year. Just one picture from any given ride/day is the only rule for the challenge. 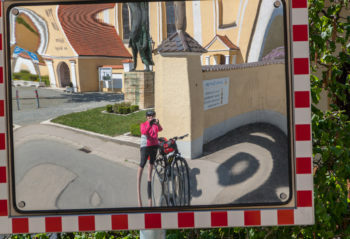 My gallery with all my challenge … Continue reading "Cycling Days with Victoria – 7"
May 1, 2018 Day 6/100 Touring in Bavaria – churches, churches and more churches My goal is 100 rides with pictures from my bike rides before the end of the year. Just one picture from any given ride/day is the only rule for the challenge. My gallery with photos from May is here. 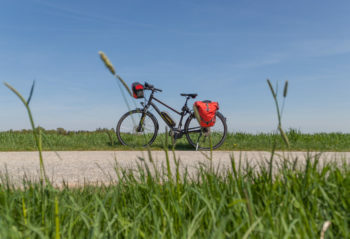 April 29, 2018 Day 4/100 Following the Danube Bike Path on our Lower Bavaria tour My goal is 100 rides with pictures of my bike, named Victoria, before the end of the year. Just one picture from any given ride/day is the only rule for the challenge. 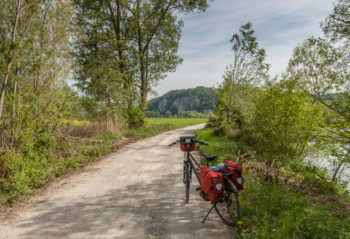 My gallery with photos from the beginning of … Continue reading "Cycling Days with Victoria – 4"
April 28, 2018 Day 3/100 Somewhere in Lower Bavaria. Selfie in a traffic mirror. My goal is 100 rides with pictures of my bike, named Victoria, before the end of the year. Just one picture from any given ride/day is the only rule for the challenge. 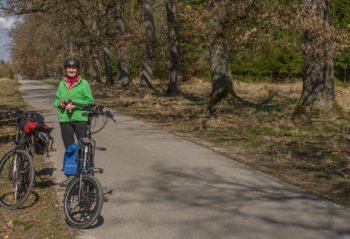 My gallery with photos from January through April is … Continue reading "Cycling Days with Victoria – 3"
April 27, 2018 Day 2/100 First day on tour in Lower Bavaria. Only April and great weather! I’ll be writing a journal on the ride eventually and link it here somewhere. My goal is 100 rides with pictures of my bike, named Victoria, before the end of the year. 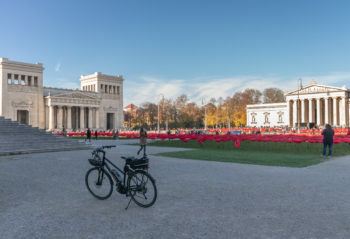 Only one picture from any given … Continue reading "Cycling Days with Victoria – 2"
April 26, 2018 Day 1/100 Victoria in front of Der Ring, sculpture by Paolo Staccioli, located near Munich main train station. 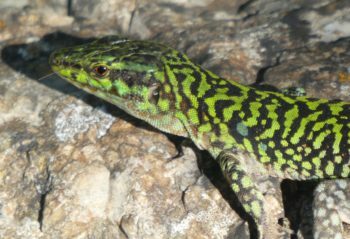 For my 100 Cycle Days Challenge I already had started on my own website and had 20 so far but thought I’d start fresh here. My goal is 100 rides with pictures of my … Continue reading "Cycle Days Challenge with Victoria – 1"
Coming Full Circle … from Garching to Dachau Sunday April 22,2018 D-Day, the day I complete the circle! Sunday and spectacular weather – I know what that means. I want to do another ride but there are going to be a lot of people out and about. 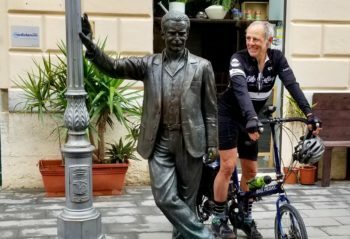 Europe is a small and densely populated place, … Continue reading "CLC 2018 – Going Around in a Circle"
Hi there, folks and fellow cyclists! I’m having a hard time catching up. So many lovely comments that I haven’t answered, so many rides that I haven’t commented. For the time being, thank you all so much. Here is the sixth segment – Circling in the sun … from Ottenhofen to Garching Wednesday April 18, … Continue reading "CLC 2018 – Going Around in a Circle 17"
The spirit is willing … another ride to the German Heart Center Tuesday April 17, 2018 Results finally! 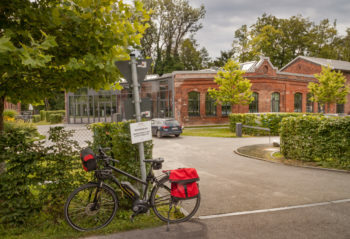 Six weeks ago I wrote my first CLC entry and I promised a follow-up – it was my visit to the German Heart Center in Munich, one of Europe’s leading heart clinics, which is a ten-minute bicycle … Continue reading "CLC 2018 – Going Around in a Circle 16"
So many interesting rides to read about from you Cyclelife challengers – I can hardly keep up with all your great posts. 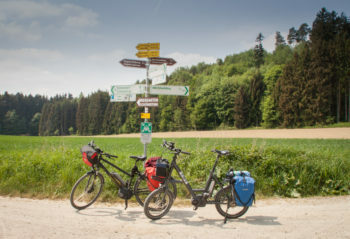 It looks like I might be able to complete my circle theme, although I have certainly posted enough rides, unashamedly using the challenge as an excuse to post pictures and write about (almost) … Continue reading "CLC 2018 – Going Around in a Circle 15"
Here I am again, another post from Munich. But first of all greetings to all the challenge riders. Many thanks for all your kind comments on previous posts. This ride is a loop from home, not part of the great circle. 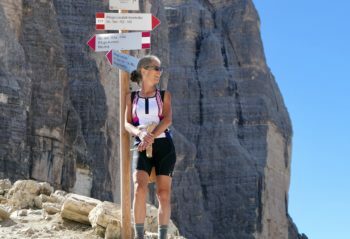 Nothing new for us, it’s a route we have often cycled, but nonetheless very … Continue reading "CLC 2018 – Going Around in a Circle 14"
Riding the end moraine … from Gauting to Sauerlach Wednesday April 11, 2018 We got back from our trip to Italy sooner than expected. We had been invited to a birthday celebration which unfortunately had to be called off. Then the weather surprised us by being much cooler than at home. What’s worse – we … Continue reading "CLC 2018 – Going around in a Circle 13"
More Circling … from Sauerlach to Grafing Tuesday, April 3, 2018 Here comes the third segment of the circle. We set out on the warmest and springy-est day so far and are dressed in layers that we hope we can peel as the day warms up. Again I have planned a route to follow and … Continue reading "CLC 2018 – Going Around in a Circle 12"
Easter Sunday … and the hunt for spring Sunday April 1, 2018 Cold and windy, rain predicted, but Janos has a new bike and that was reason enough to go for a ride. Besides, rain had been predicted for the whole day and it hadn’t rained all morning, so obviously the weather forecast was wrong. 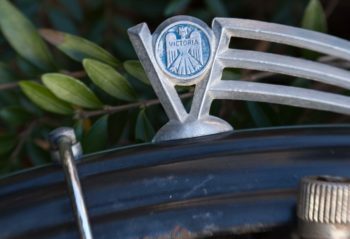 … Continue reading "CLC 2018 – Going Around in a Circle 11"
I’ve made a slide show from the bicycle head badges I have discovered and photographed on my walks and rides around Munich. Some new, some old, some exotic – I’ve become addicted and can’t walk down the street any more without looking at each and every bike along the way. 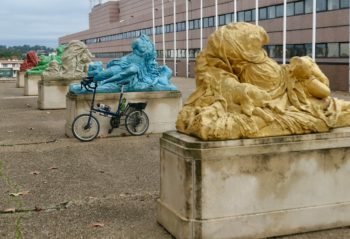 Click here for the head … Continue reading "Beautiful Bicycle Head Badges"
A ride to Schleissheim … and I nearly froze Tuesday March 28, 2018 Obviously, I didn’t dress warmly enough … You can read more here. The first segment of the circle … from Fürstenfeldbruck to Dachau Sunday March 25, 2018 Today was the day to start my intended project of circling around Munich from one city train line to another. We rode our bikes to the train station, got on the train to Fürstenfeldbruck and from there we cycled along … Continue reading "CLC 2018 – Going Around in a Circle 8"
The sun is out … and other big news Saturday March 24, 2018 Sunny, bright and brilliant blue skies, good-bye winter, welcome sweet springtime! We didn’t have a lot of time today, so again not the day for a theme ride (no theme is the new theme), but time enough for a ride to Munich’s … Continue reading "CLC 2018 – Going Around in a Circle 7"